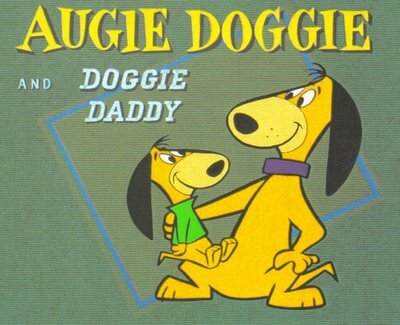 The voice of Doggie Daddy was Doug Young. Born December 21, 1919, he is still alive, and still listed as an active voice actor. I always thought that Jimmy Durante did the voice of Doggie Daddy. Doggie Daddy: "Augie, my son, my son." Augie: "What is it, dear old dad?"